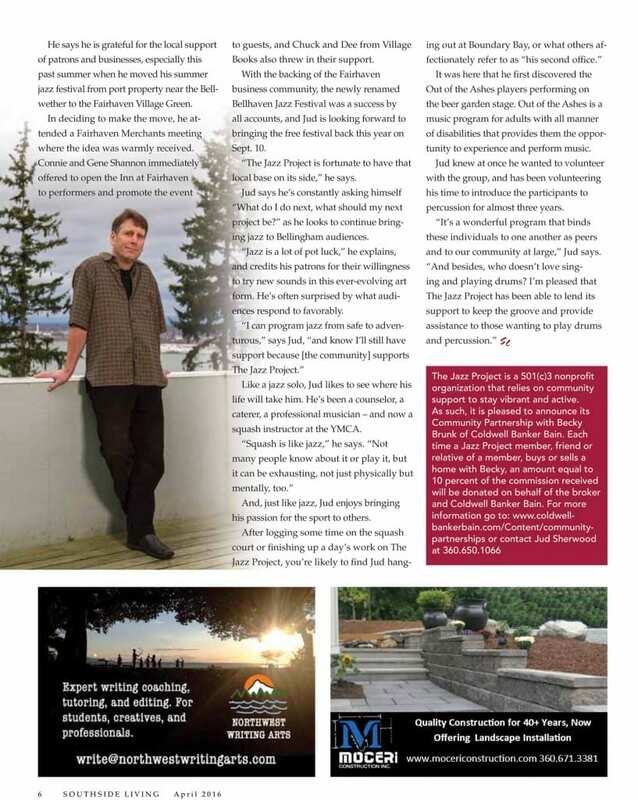 Southside Living Article "Keeping Time With Jud Sherwood"
It can be hard to separate a man from his art. Where does one start and the other begin? 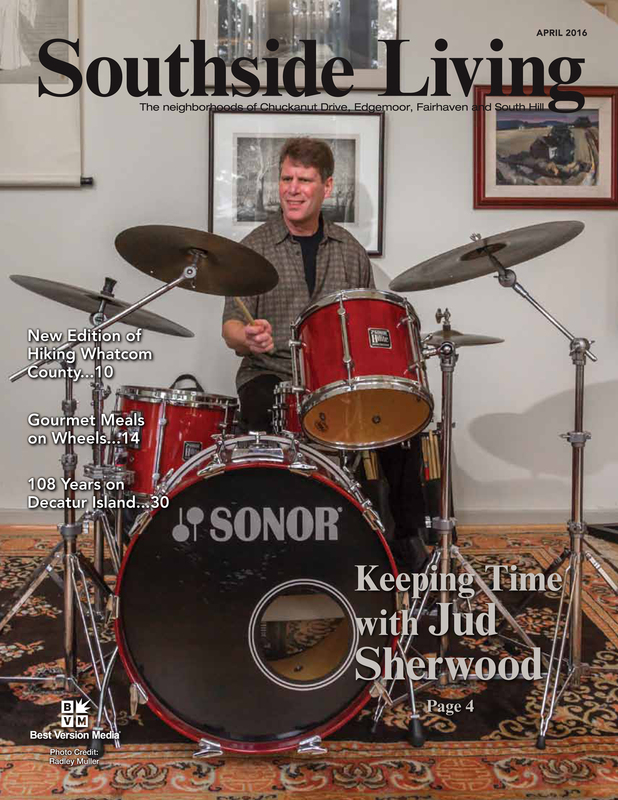 This is certainly the case for Jud Sherwood: professional drummer, founder of The Jazz Project and South Hill resident. When Jud first moved to South Hill about 24 years ago it was to house sit for friend and artist Tom Wood and his wife Pam Brownell who live on 17th Street. Moving in with little more than “two sets of drums and an carload of artwork,” Jud thoroughly enjoyed his next six months on 17th Street, and jumped at the chance to buy a home a block away, on Morey Avenue, about four years later. 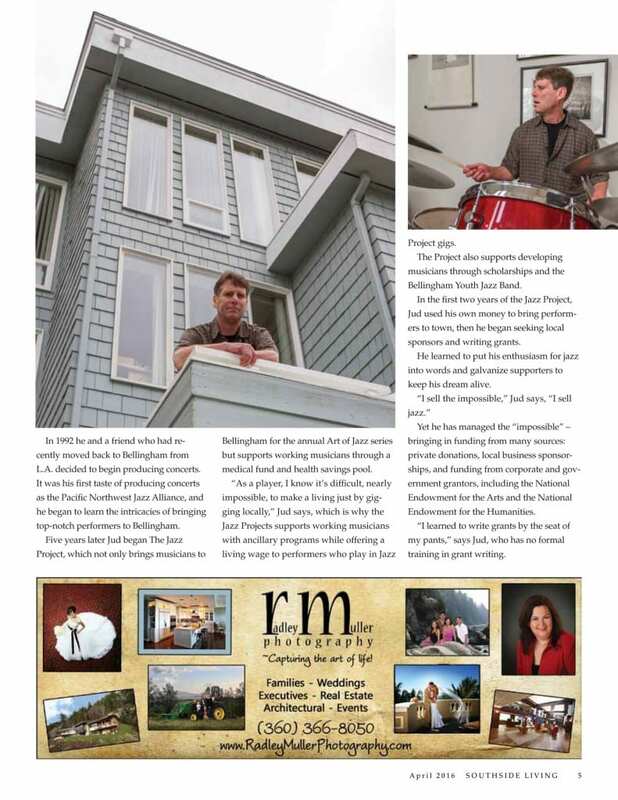 When Jud moved in to his new home, everything he owned – his drums, the art and a stereo – fit into the 400-square-foot room he uses as his studio. He’s now spread his possessions throughout his home: a great room overlooking the bay and kitchen on the main floor and a master suite above. His art collection fills the walls, featuring pieces by Wood as well as his father, respected artist Tom Sherwood, and drawings by his beloved nieces. His office, a desk in one corner of his main living space, takes advantage of the picturesque view, and is home base for his work on The Jazz Project. Avocation might be a better word to describe Jud’s relationship to jazz and The Jazz Project. He’s played drums since he was a kid growing up on Liberty Street in the Sehome neighborhood, where he and his brother both were encouraged to learn an instrument. 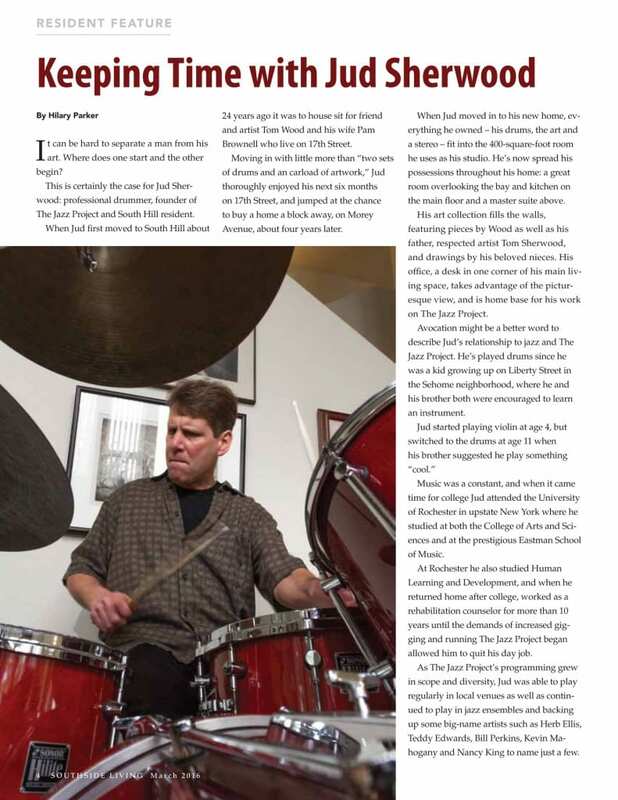 Jud started playing violin at age 4, but switched to the drums at age 11 when his brother suggested he play something “cool.” Music was a constant, and when it came time for college Jud attended the University of Rochester in upstate New York where he studied at both the College of Arts and Sciences and at the prestigious Eastman School of Music. At Rochester he also studied Human Learning and Development, and when he returned home after college, worked as a rehabilitation counselor for more than 10 years until the demands of increased gigging and running The Jazz Project began allowed him to quit his day job. 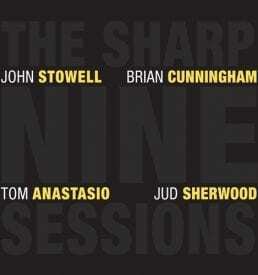 As The Jazz Project’s programming grew in scope and diversity, Jud was able to play regularly in local venues as well as continued to play in jazz ensembles and backing up some big-name artists such as Herb Ellis, Teddy Edwards, Bill Perkins, Kevin Mahogany and Nancy King to name just a few. In 1992 he and a friend who had recently moved back to Bellingham from L.A. decided to begin producing concerts. 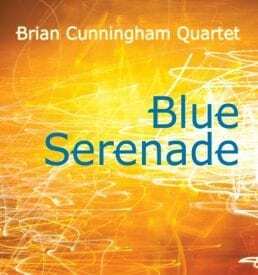 It was his first taste of producing concerts as the Pacific Northwest Jazz Alliance, and he began to learn the intricacies of bringing top-notch performers to Bellingham. Five years later Jud began The Jazz Project, which not only brings musicians to Bellingham for the annual Art of Jazz series but supports working musicians through a medical fund and health savings pool. “As a player, I know it’s difficult, nearly impossible, to make a living just by gigging locally,” Jud says, which is why the Jazz Projects supports working musicians with ancillary programs while offering a living wage to performers who play in Jazz Project gigs. 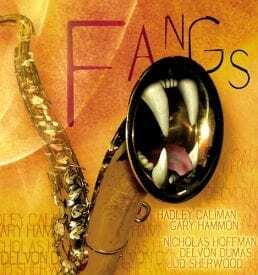 The Project also supports developing musicians through scholarships and the Bellingham Youth Jazz Band. 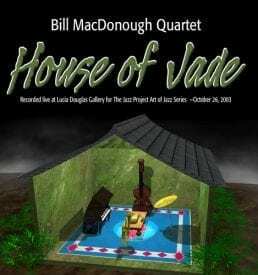 In the first two years of the Jazz Project, Jud used his own money to bring performers to town, then he began seeking local sponsors and writing grants. He learned to put his enthusiasm for jazz into words and galvanize supporters to keep his dream alive. “I sell the impossible,” Jud says, “I sell jazz.” Yet he has managed the “impossible” – bringing in funding from many sources: private donations, local business sponsorships, and funding from corporate and government grantors, including the National Endowment for the Arts and the National Endowment for the Humanities. “I learned to write grants by the seat of my pants,” says Jud, who has no formal training in grant writing. He says he is grateful for the local support of patrons and businesses, especially this past summer when he moved his summer jazz festival from port property near the Bellwether to the Fairhaven Village Green. In deciding to make the move, he attended a Fairhaven Merchants meeting where the idea was warmly received. Connie and Gene Shannon immediately offered to open the Inn at Fairhaven to performers and promote the event to guests, and Chuck and Dee from Village Books also threw in their support. With the backing of the Fairhaven business community, the newly renamed Bellhaven Jazz Festival was a success by all accounts, and Jud is looking forward to bringing the free festival back this year on Sept. 10. Like a jazz solo, Jud likes to see where his life will take him. He’s been a counselor, a caterer, a professional musician – and now a squash instructor at the YMCA. “Squash is like jazz,” he says. “Not many people know about it or play it, but it can be exhausting, not just physically but mentally, too.” And, just like jazz, Jud enjoys bringing his passion for the sport to others.